At about 5:24 p.m., the intoxicated man was in the 100 block of Wesley Street and about to ride away on a motorcycle, police said. While officers responded, the witness contacted the motorcyclist in an attempt to stop him from driving while intoxicated. 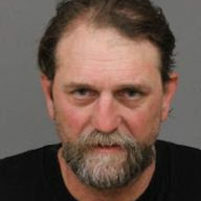 The motorcyclist, 50 year-old Todd Perkins of San Miguel, then pulled a gun on the person trying to stop him from driving. Officers arrived and detained Perkins and a female he was with. Police determined Perkins pointed a loaded 9 mm handgun at the victim and threatened to kill him. Officers found the handgun in nearby bushes. Officers arrested Perkins for assault with a deadly weapon, criminal threats and carrying a concealed firearm and booked him into the San Luis Obispo County Jail. Perkins is not currently in custody, according to the county sheriff’s office website. Trying to impress the woman? Hmmmm….was Perkins coming from the biker toy run earlier Sunday at the Portuguese Hall? So…after all this, they let him go? ?